I have stayed here four times and I would highly recommend it, the food in the restaurant is next to none, staff is so friendly and spotless clean, the location is brilliant! I just can’t say enough about it. 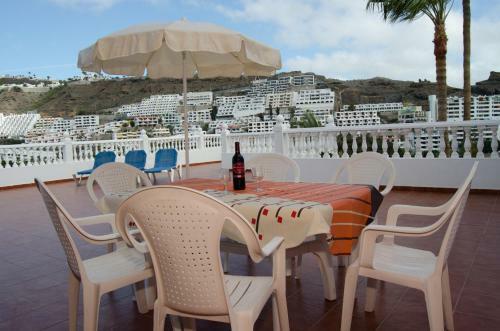 The location, friendly staff, great restaurant and the lovely apartments with huge balconies. nice room beside pool. quiet not much noise staff very good. close to centre, and beach good stay. Apartments were spotless and the location was great...5 mins from the beach and harbour and 5 mins from the commercial shopping centre. Will definitely stay there again. Appartments where very close to all amenities. Balcony was hugh. Beds where very comfortable. Lock in a great price for Apartamentos Río Piedras - rated 8.4 by recent guests. 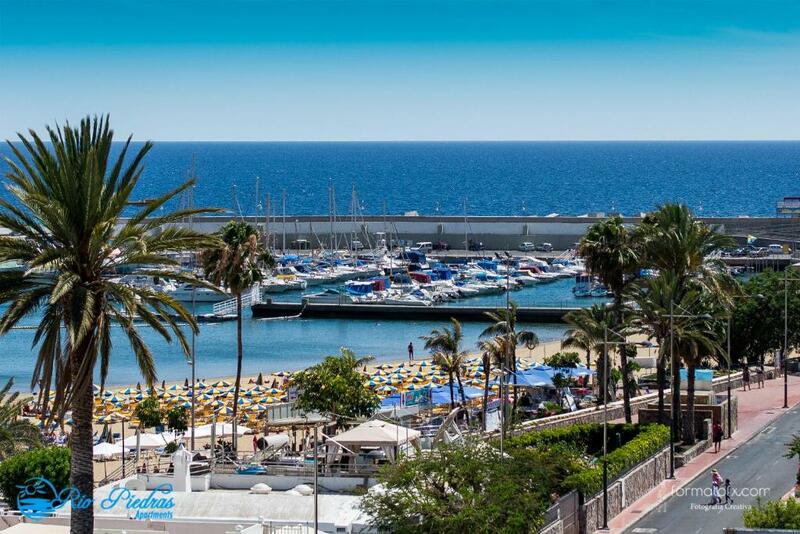 The Río Piedras is 100 yards from Puerto Rico Beach, in southern Gran Canaria. The complex has a top-floor swimming pool with impressive sea views. The building has a large sun terrace on the roof with free sun loungers. Here there are views of the sea, the beach, a park and of the valley of Puerto Rico. All apartments at the Río Piedras have a balcony or terrace. There is also a small kitchen with a fridge and kettle. Satellite TV is also included. There are supermarkets within 200 yards of the complex. 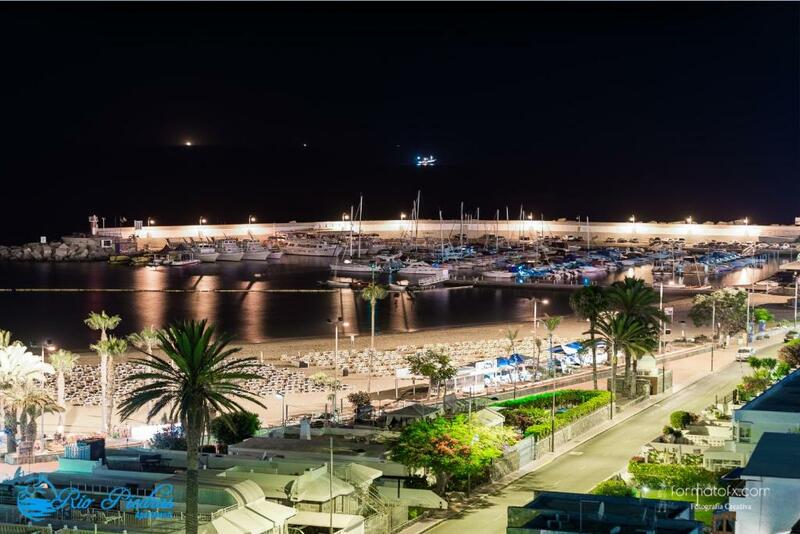 The Puerto Comercial Shopping Centre is a 5-minute walk away. There are 3 golf courses within 20 kilometres. This is our guests' favourite part of Puerto Rico, according to independent reviews. This property also has one of the best-rated locations in Puerto Rico! Guests are happier about it compared to other properties in the area. Apartamentos Río Piedras has been welcoming Booking.com guests since 12 Feb 2010. When would you like to stay at Apartamentos Río Piedras? This apartment has a twin bedroom and a balcony. The living room has a satellite TV and a sofa, while the kitchen comes with fridge, microwave and coffee maker. There is also a bathroom and a safe. Please note that apartments with balcony are located on the firsts floors. This apartment has a twin bedroom and a terrace with sea views. The living room has a satellite TV and a sofa, while the kitchen comes with fridge, microwave and coffee maker. There is also a bathroom and a safe. This apartment has 2 twin bedrooms and a terrace. The living room has a satellite TV and a sofa, while the kitchen comes with fridge, microwave and coffee maker. There is also a bathroom and a safe. This apartment features a kitchenware, toaster and microwave. This apartment has a kitchenware, seating area and toaster. This apartment has a kitchen, air conditioning, microwave and toaster. House rules Apartamentos Río Piedras takes special requests - add in the next step! Apartamentos Río Piedras accepts these cards and reserves the right to temporarily hold an amount prior to arrival. Please let Apartamentos Río Piedras know the exact number of people staying at the apartments. Please note that parties and visits are not permitted. 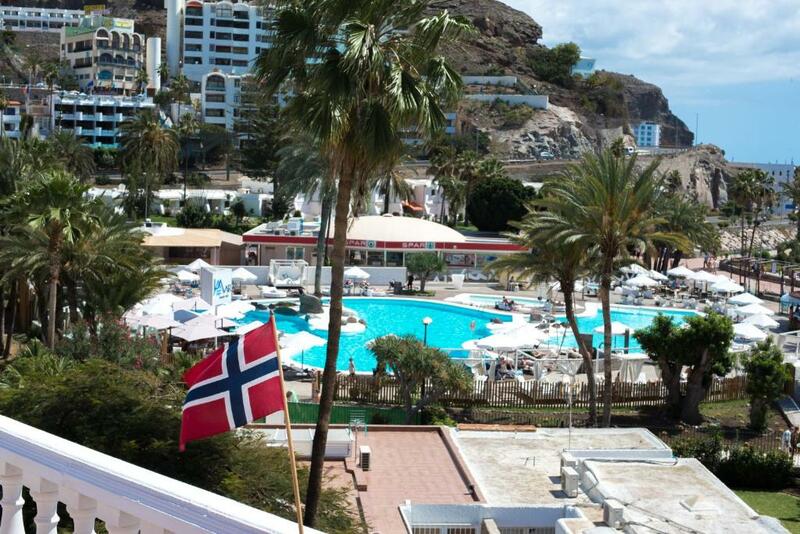 Only the persons indicated in the booking are allowed to use the public areas and swimming pool. A damage deposit of EUR 50 is payable on arrival. This will be refunded upon departure once the condition of the apartment has been checked. A damage deposit of EUR 50 is required upon arrival. That's about 43.36GBP. This deposit is fully refundable upon check out as long as there has been no damage to the property. Facilities quite outdated. The light went off twice when we were trying to cook. The water in the shower was extremely hot. Apartments were lovely, we had an amazing terrace with beautiful views of the sea, our kettle broke but it was replaced immediately. Perfect location almost on the beach, no need to climb high up the cliff. Spotless clean, very nice and friendly staff. The terrace was amaizing with great views. It was our second stay and next year we'll be back for sure. It was very hot in the bedroom and not aircondition. Nearly the beach and restaurants. The room that was booked for me ,my sister decided to come to as my helper was to far up the slopes . I could not manage. 209. Was moved to 202 very small balcony & only 1 sun lounger, did not get much of the sun. Think the next time i maybe decide to stay will need a terraced balcony. The place was clean in its self. We did not enjoy cooked meal in upstairs @ the pool, was not hot, the staff were very nice,but could not understand much English. Fridge needs replacing … turned up to max but milk went off after 2 days … did not keep cold enough … The Safe is NOT free and should be clearly stated in the booking ….you have to pay 1 euro 5 cents per day to use then you are given a key you also have to pay 10 Euros deposit for the key which you get back when you return the key upon departure … this should be stated in the booking in my view as we thought it was included in the price ….